If you remember back a few months ago I participated in an amazing stylized shoot! Today I am sharing the last of three couples I was able to photograph!! Earlier in January I was given the opportunity to go to a photographer meet-up and photograph a bunch of gorgeous couples! Today I get to share one of those awesome couple’s photos! So excited for this post because Holly + Caleb are two of my favorite people of all time!! 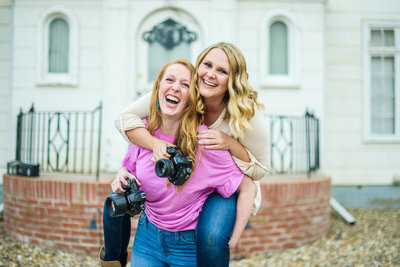 There was SO much laughter and joy from these two, just wait until you see! In January I got the opportunity to go to a photographer meet-up where I got to photograph a few amazing couples with the best backdrop!